The heavy-handed policies in Macedonia of the Young Turks regime (which had come to dominate the declining Ottoman Empire in 1908) and the outbreak of the Turko-Italian War in September 1911 energized—in all the Balkan countries simultaneously—an impulse toward joint action against Turkey. In late 1911, secret negotiations started among Bulgaria, Serbia, Greece, and Montenegro with the objective of expelling the Ottomans from European territory. The most important connection was between Bulgaria and Serbia. A treaty of alliance signed by the ministers and monarchs of both kingdoms was executed on 12 March 1912. This alliance led to miltary conventions and the formation of a "Balkan Alliance." The first of two Balkan Wars was launched by the Alliance in October and succeeded in expelling the Turks from all Europe except the Constantinople region. The two Balkan Wars of 1912-1913 placed enormous stress on the diplomatic system of the great powers, gave great impetus to Serbia's annexation ambitions, and alarmed Austria-Hungary. 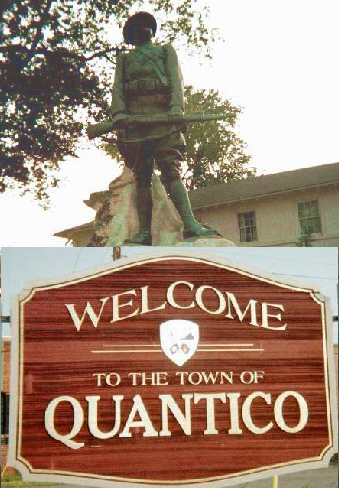 Iron Mike and the town of Quantico will be welcoming us to our next seminar in September. Click on the image above to download a program and registration information. All of our back issues with many special extra features on CDs can now be purchased through PayPal. We are redesigning our Events Calendar. 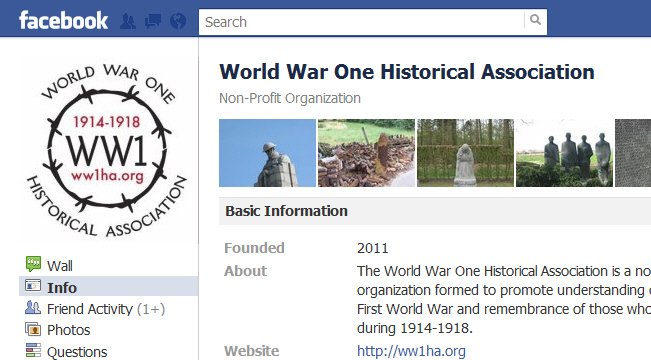 See left column for World War One Association Activities. Please keep sending us announcements, they will be included when we unveil the new calendar. Essential for supplying the front in the Great War, narrow-gauge (light) rail lines had eevolved from the effective use of rail in the U.S. Civil War.Researched by Robin Clayton. His article will appear in a future issue. 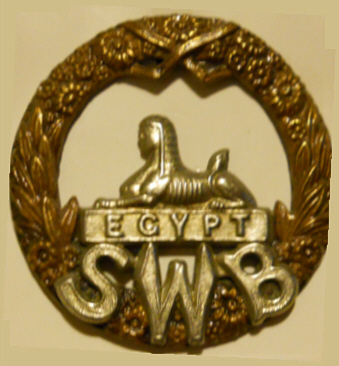 The badge Honour of the Sphinx, usually with the legend "Egypt," is the one accorded to the most units of the British Army — save the Royal Crown. It was awarded to 31 formations for service in the Egyptian Campaign of 1801, the first British defeat of a Napoleonic army. One of these units, the South Wales Borderers was formed in 1689. Their first 190 years seemed to be one misadventure after another—they were participants in at least five surrenders (including Saratoga and losing their colors to the Sikhs in 1846). In 1879 they became doubly famous for the battle of Isandlwana (one of the greatest defeats inflicted on British arms) and the epic stand at Rorke's Drift (one of the greatest victories), where members of the unit won seven VCs. For that action (and a futile effort to save the colors at Isandlwana,) the unique "Wreath of Immortelles" was conferred. Nevertheless, the SWB may have been the only line regiment to have lost its colors in battle twice. Stationed in China in 1914, a SWB battalion was part of the Japanese-led force that captured Tsingtao, the only British land action in the Far East. This same unit landed at Gallipoli on 25 April 1915. 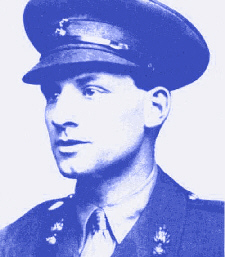 Seven men from the SWB would receive the VC in the Great War. From Jim Patton. The First World War [for France] may have been morally untroubling, but it left scars too deep to touch for a long time: In addition to the five million men killed or wounded, there were hundreds of thousands of war widows and their children, not to speak of the shattered landscape of northeastern France. 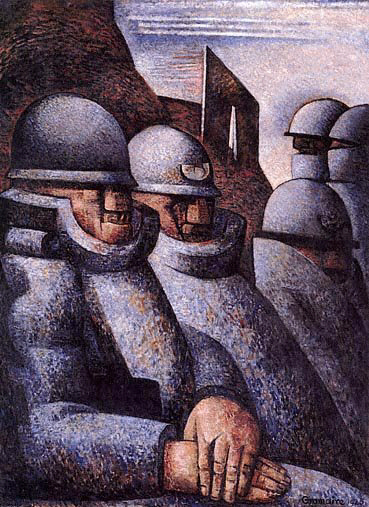 For many decades World World War I lay, as it were, in purgatory—rememberd but hardly celebrated. 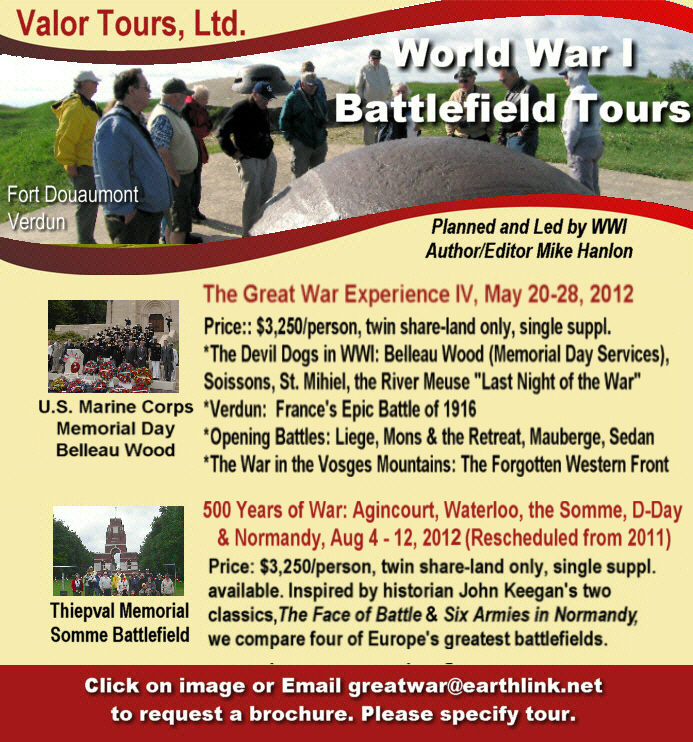 Only recently have the battlefields of the Western Front become sites of more confident commemoration. Our Camaraderie editor Susan Hall-Balduf has bravely led the World War One Historical Association into uncharted (for us) territory. We now have our own Facebook page and Blog. Please visit the two new sites by clicking on the images. If you would like to receive the postings, click "Like" on Facebook and the "Follow" icon at the bottom of the blog page. Some great material is already showing up on the two pages. Somewhat before this year's winter trip to Paris, we read in the New York Times that the prime minister of France had just opened a museum just outside Paris dedicated to portraying the Great War. The museum, Le Musée de la Grande Guerre, is located in Meaux, a half-hour train ride from Paris, a reasonable 15-Euro journey). The trains, considered commuter trains, run around every half hour from the Gare de L'Est. We had read that the opening on 11 November advanced the planned opening of the museum, and it therefore should not have been a surprise that, while there were signs that indicated such a museum was in Meaux, the station ticket agent in Meaux had limited knowledge about it. She found information on the museum in a loose leaf binder and sold us bus tickets (bus route #6) that would deposit us at the museum. The bus lets visitors off quite a distance from the museum entrance, at least for us 60 year-olds. 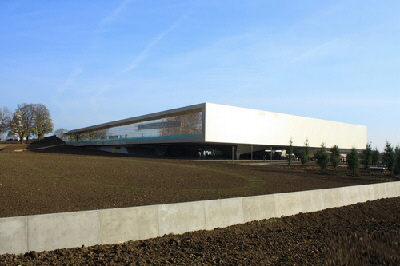 Part of this again is due to the early opening of the museum, a modernist structure which sits on a treeless field. Eventually, paved pathways will no doubt lead to the museum from the bus stop. We visited the museum during record-breaking cold weather, and as we entered the museum, we found that the heat had failed.  This somewhat colors the following review. As one enters, one is encouraged to experience an introductory "film" which is sort of a visual time machine going from the present through major events back to 1870, the starting point for the museum. This is a portent of the high-quality graphics used throughout the museum. The first rooms of the museum deal with the impact on the French psyche of the loss of Alsace-Lorraine as a result of the Franco-Prussian War. The museum does an excellent job conjuring up the sentiment of that age, and how these emotions affected political decisions at the onset of the war. The museum's graphic displays and written signage are adept at conveying (in English, French, and German) the excitement of the mobilization, as well how certain elements, whether it be tactics or individual weapons systems, played a part in the war. As one emerges from the displays of late 19th-century politics, the rest of the museum provides a series of exhibits displaying artifacts of the conflict organized around different themes: communications, propaganda, military tactics, involvement of troops from the colonies, and daily life in the trenches. Particularly moving are artistic items fabricated in periods of boredom from shell casings, hand weapons, etc. 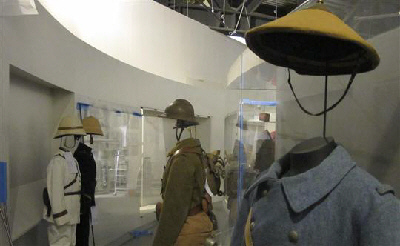 Throughout the museum, a number of uniforms in excellent condition from various combatants are displayed as well. In several rooms there are educational digital presentations that thoroughly explain such things as merits of new weapon systems. A noteworthy innovation is the use of WiFi screens which demonstrate, for example, the firing sequence for an older artillery piece and for the French 75mm. This was the first time we were shown so well the superiority of the newer artillery. Aircraft displays are limited to two: a SPAD XIII and a Bleriot monoplane. There are also a number of interactive maps showing the war's timelines. We spent about two hours in the museum going through each exhibit despite having our hands in our pockets to ward off the cold. 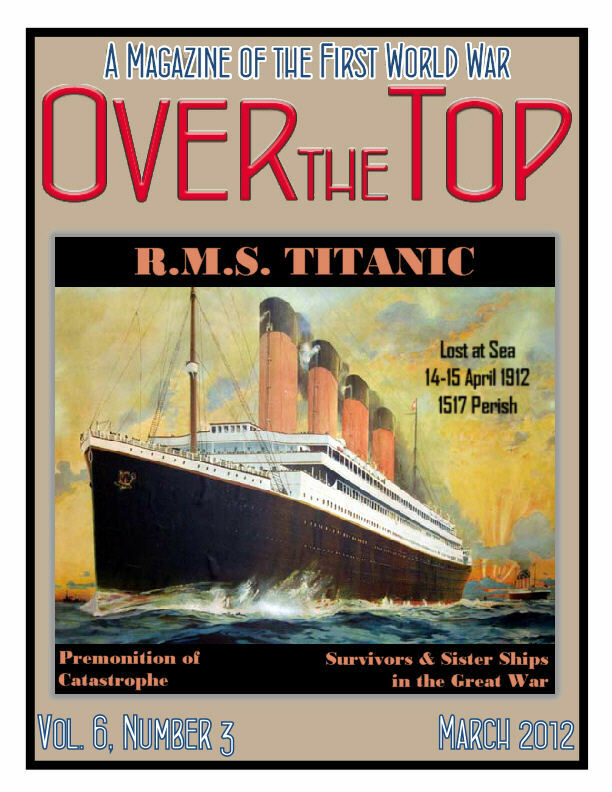 It is our hope that when the logistical issues are resolved—and these would be minor had it not been deep winter—this museum will become in time a grand success, and we highly recommend it to all. 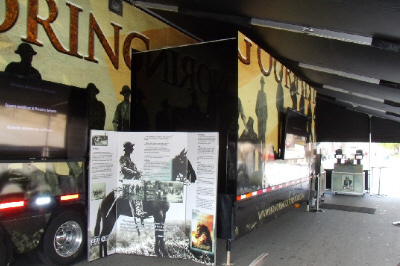 Coincidentally, just as we received the Howells' report, reader Anne Steele sent photos of her own visit to the traveling exhibit of the National World War One Museum (in partnership with Waddell & Reed) at Redwood City, California on 10 February. 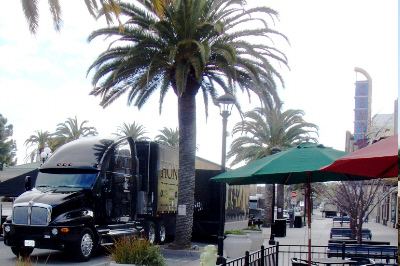 The display is borne on a customized 18-wheel "big rig" truck. It stops near a variety of local museums and cultural institutions, like the San Mateo County Museum, to raise awareness about the coming centennial of the Great War and the National Museum in Kansas City. Dubbed the "Honoring Our History" tour, the unique traveling museum offers an outstanding and free introduction to the war's history and artifacts. Naturally, however, contributions are accepted at each stop from visitors, and they will are divided equally between the local museums and the National World War I Museum. Another discovery was brought to my attention by the lady in my life, and browsing sleuth, Donna Wagner. I guess you might describe what she found as a virtual, online museum for the war. Europeana 1914-1918 is based on an initiative at University of Oxford where people across Britain were asked to bring family letters, photographs and keepsakes from the war to be digitized. The success of the idea—which became the Great War Archive—has encouraged Europeana, Europe�s digital archive, library, and museum, to bring other national or local institutions across Europe into an alliance with Oxford University. 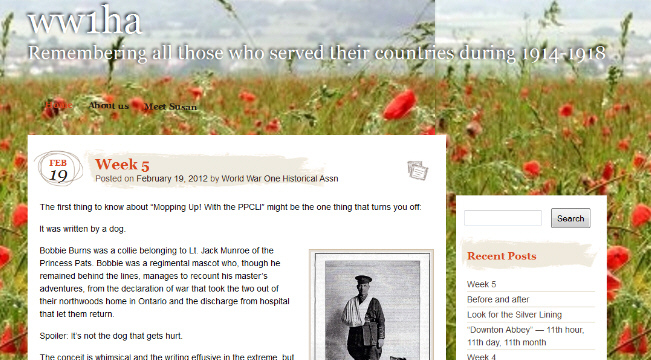 The project is collecting memorabilia and stories from the period of the Great War (1914-1918). This phase of the project is focusing on European items: letters, postcards, photographs, and stories from Germany, Luxembourg, Ireland, Slovenia, and the UK. Contributions can be made via the website or at special collection events to be scheduled. Just click on the image above to visit the site. Literary Commentator (and Trip-Wire Reader) Bradley Omanson's Contributions to WWI Publishing (Wyeth's This Man's Army and the just released At Belleau Wood with Rifle and Sketchbook by Marine Louis Linn) discussed. The whole of the Great War can with some justification be considered to have been an almost continous four-year-long siege of forts. There were many famous siege operations on the Western Front conducted against fortress cities and encampments, such as those against Liège, Antwerp, Maubeuge, and Verdun. Fortresses played a critical role on the Italian Front. In the Far East, the German concession at Tsingtao in China was besieged by Japanese and British forces, while on the Eastern Front both Russians and Austrians possesed numerous fortified cities and encampments that were at times bitterly fought over. The two sieges of the Austro-Hungarian fortress city of Przemsyl (now in present-day Poland) took place during the first year of the war, but are, today, little known for all their otherwise dramatic content. 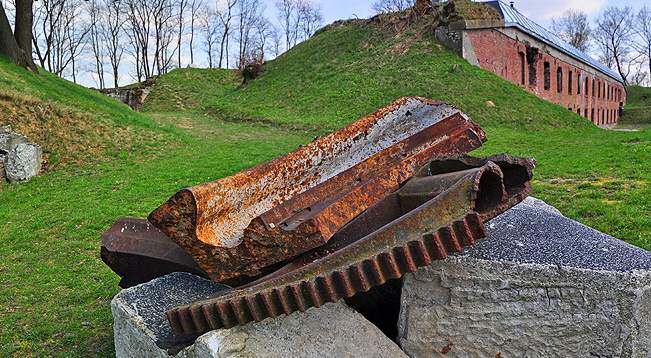 The photo below shows the present day state of Fort #25 at Przemysl. Click Here to Access the Tremendous Body of Photos and Articles Tony Langley Has Gathered About Przemysl. French troops were equipped with the relatively slow firing (250 rounds/minute) automatic Chauchat rifle after 1916. While it was never fully reliable, French infantry appreciated having it available. 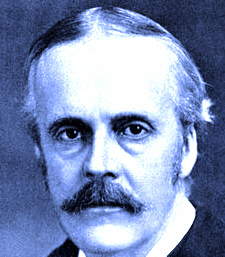 However, it gained an especially bad reputation within the AEF. U.S. soldiers, like those shown above, developed an intense dislike for the weapon. The version of the Chauchat distributed in greatest quantity to the AEF was rechambered for larger .30caliber ammunition, which required a modified magazine. These changes magnified all the design problems of the weapon. In late 1918, the superior Browning Automatic Rifle was distributed to some American units, and would have replaced the Chauchat in all units for the 1919 campaign. I am making this statement as an act of willful defiance of military authority because I believe that the war is being deliberately prolonged by those who have the power to end it. I am a soldier, convinced that I am acting on behalf of soldiers. I believe that the war upon which I entered as a war of defence and liberation has now become a war of aggression and conquest. I believe that the purposes for which I and my fellow soldiers entered upon this war should have been so clearly stated as to have made it impossible to change them and that had this been done the objects which actuated us would now be attainable by negotiation. Thanks to each and every one of you who has contributed material for this issue. Until next month, your editor, Mike Hanlon.